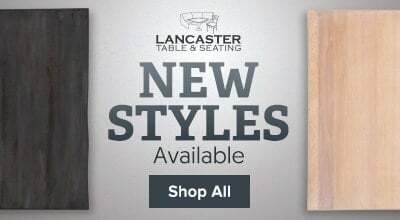 Add a contemporary and comfortable feel to your dining room with this mahogany finish wooden diamond back chair from Lancaster Table & Seating. 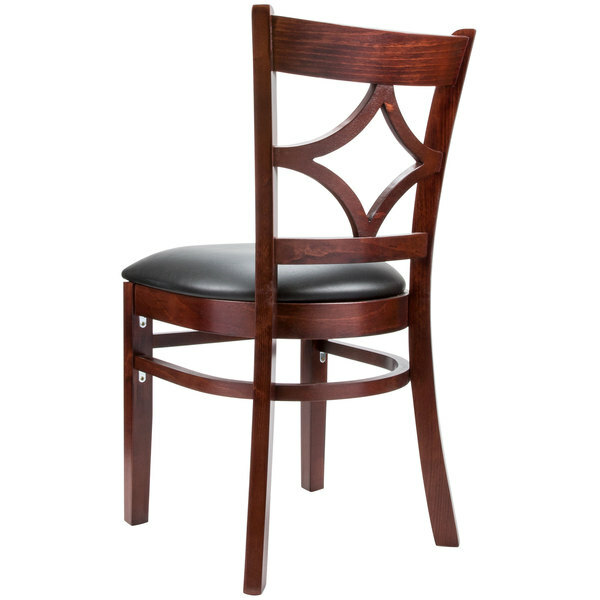 Made with exceptional quality and impeccable craftsmanship, this heavy duty, mahogany finish wood chair is sure to lend a professional touch to your restaurant, bar, or cafe. 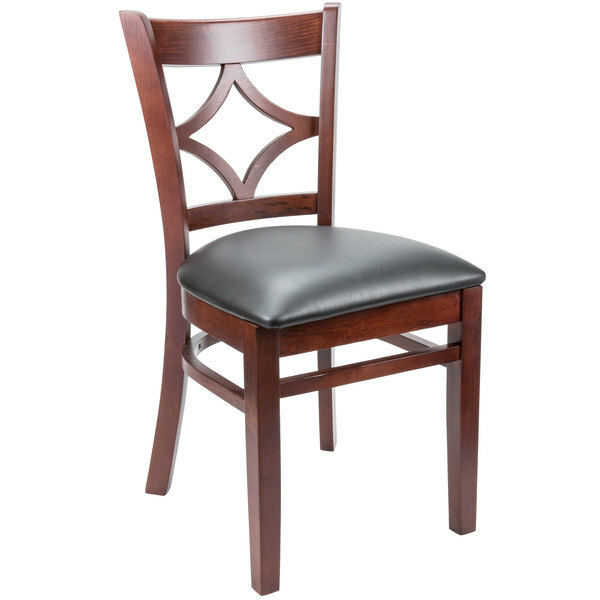 Thanks to its padded design and supportive backrest, your guests will be able to enjoy their meal in comfort. 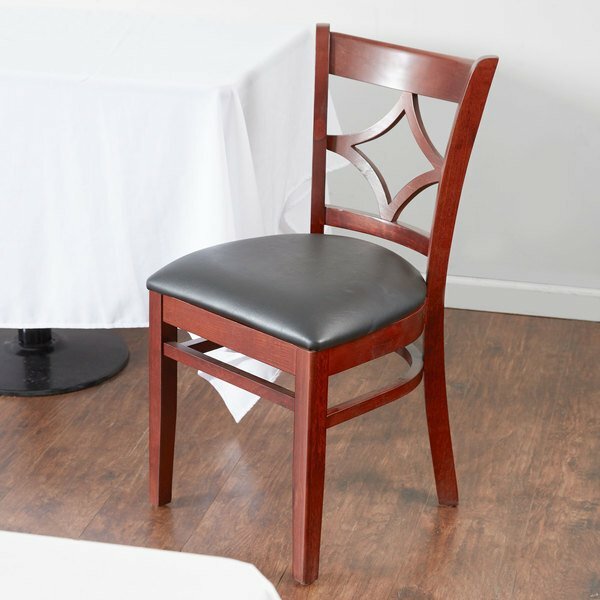 This stylish yet practical chair is the perfect, easy-to-maintain option for any business! 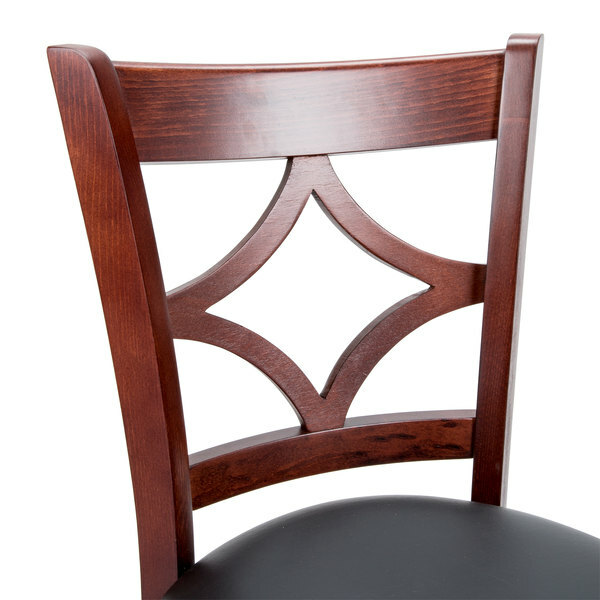 "These are the chairs that we decided to use for our new location and they look amazing there. They are still going strong and they are just as soft as they were when we first them." Made with beech wood, this chair has a natural feel and a rigorous construction able to withstand daily use. Beech wood ages well over time and does a better job resisting gouging and chipping in comparison to other woods. 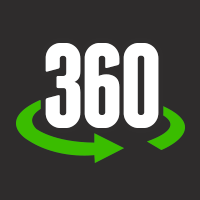 Plus, it does an excellent job bearing weight, making it a reliable material. The diamond back provides your patrons with a comfortable back rest, while the 2 1/2" thick padded black vinyl seat is comfortable and easy to clean. 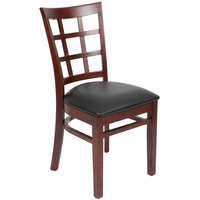 This chair is lightweight, making it easy for guests to pull out or push in and for your staff to rearrange. 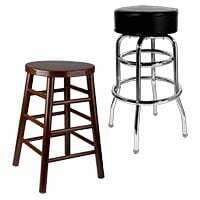 However, despite its lightweight construction this stool still has a 300 Ib. capacity. 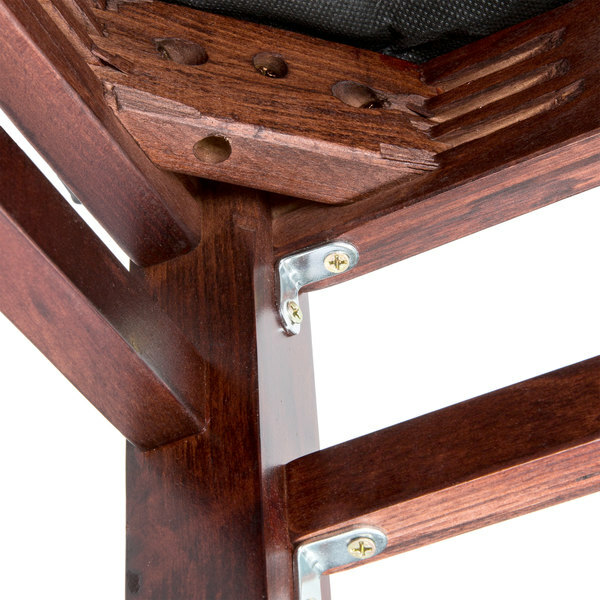 This ensures that it is a reliable option you can use in your dining room for years to come. 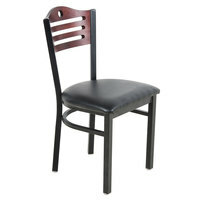 These are the chairs that we decided to use for our new location and they look amazing there. They are still going strong and they are just as soft as they were when we first them. The diamond design is super nice. It really makes this chair look so great. Lancaster always makes great chairs, and once again, these do NOT disappoint. Love them so much!